These Tim Black Sneakers are so cute! Our fave part is the fun, sequin detailing. Pair these cute sneakers with any tops from our online boutique. I like them fit well. Color not what I expected. But I do like them. I am returning these tomorrow! I would give 0 stars if I could! The pics do NOT represent what I received! 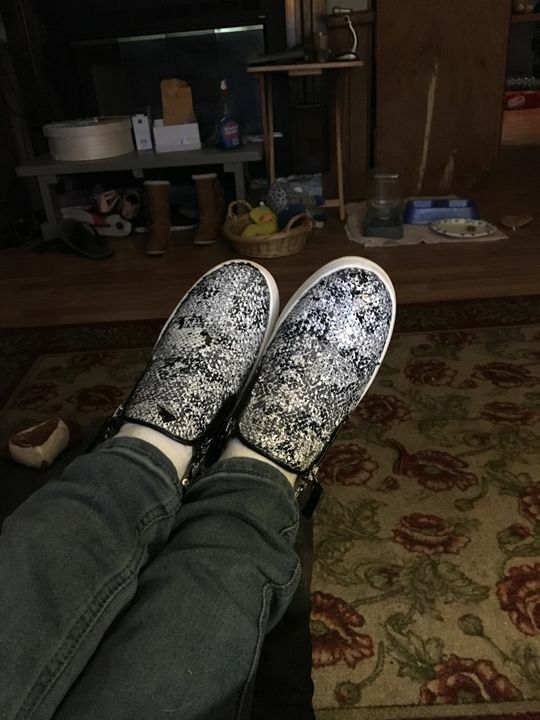 The sequins don’t all flip over and on the “white/black side” of one shoe there’s a big patch or white only sequins that don’t match the rest and when you try to flip to the black sparkle side they don’t all flip or lay flat so it looks terrible! They don’t fit well either, very cheaply made!